The United Churches is located in Olympia WA. 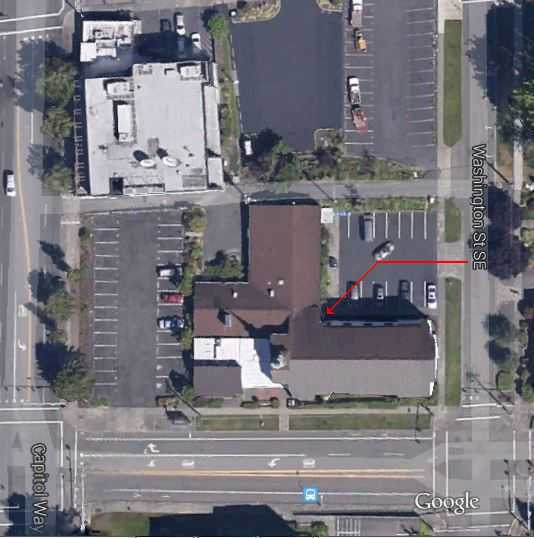 From I-5 use Exit 105-B (City Center) as a starting point to find us. The exit empties out on Plum St. - at the second light turn left onto Union Ave, go about 5 blocks and turn left on Washington Ave and you should see the back of the church. The United Churches is located on 11th avenue, diagonal from the capitol campus; and between Washington Ave and Capitol Way. We are meeting in the 'blue' room downstairs. It is the room closest to triple door near the corner of the downstairs parking lot. But you can always check the room schedule or just look around. If the doors are open you will be able to follow the sounds of the drums to find us. So come join us and find the rhythm. As you go in the door, turn to the left and we meet in the 'blue' room.